A monumental city of sweeping avenues and broad canals, St Petersburg is urban Russia at its most impressive. 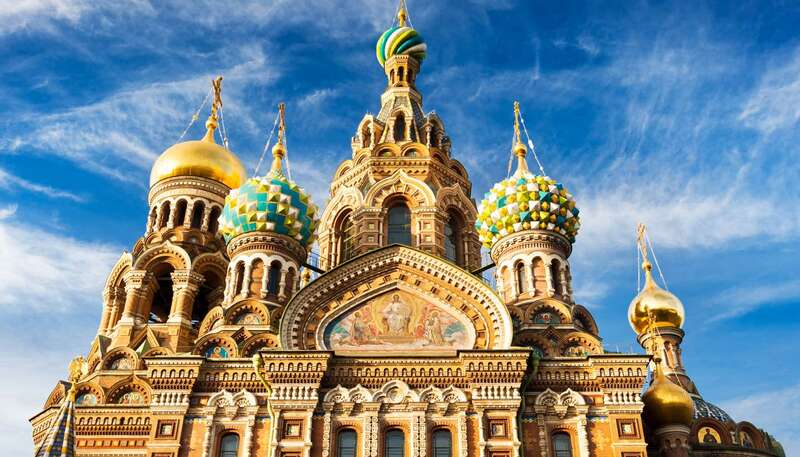 The centuries have been kind to the former capital of the Russian Empire – St Petersburg looks as grand today as when Peter the Great laid the foundation stones in 1703. The then-emperor invited Europe’s leading architects to fill the streets with extravagant palaces and elegant baroque cathedrals, and their legacy remains. It’s said that if Moscow is Russia’s head, St Petersburg is its heart. For 300 years this has been the country’s cultural capital, producing authors, poets, painters and playwrights. It remains a bustling hub for the arts, showcasing everything from painting and literature to street theatre and rebel rock. Focal points include the Mariinsky Theatre, home to the famous Kirov ballet company, and the Hermitage, the world’s largest art museum, founded by Catherine the Great in 1764. Today, superimposed over the old city is a modern metropolis, complete with alternative cafés, techno clubs and some of the deepest metro stations in the world. In addition, a new 69,000-seat football stadium has been built to host the 2018 World Cup. Fans are in for a memorable time, particularly as it will coincide with the city’s famed “White Nights” season, when the sun barely sets from mid-June to early July. The historic heart of this timeless, romantic city is focused on the crescent of land bound by the Neva and Fontanki Rivers. Here you’ll find the Admiralty, the Hermitage and Dvortsovaya Ploshchad (Palace Square), as well as Nevsky Prospekt, St Petersburg’s most elegant avenue. West of the Admiralty is Mariinsky, home to the famous theatre, and north across the river is Vasilyevsky Island, with its universities and museums, and Petrogradskaya Storona, home to the Peter and Paul Fortress.